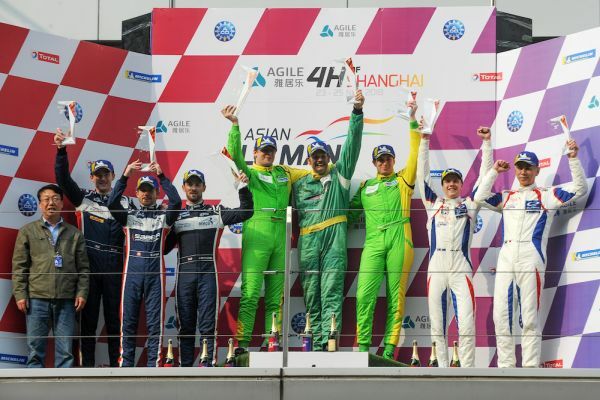 After putting the #13 LMP3 on pole for the first time since the team started racing with their LMP3, Kuba Smiechowski and Martin Hippe also won the LMP3 class in the Asian Le Mans serie race in Shanghai (China). After not the best start, Smiechowski fell back to 5th and after one hour was in seventh place. 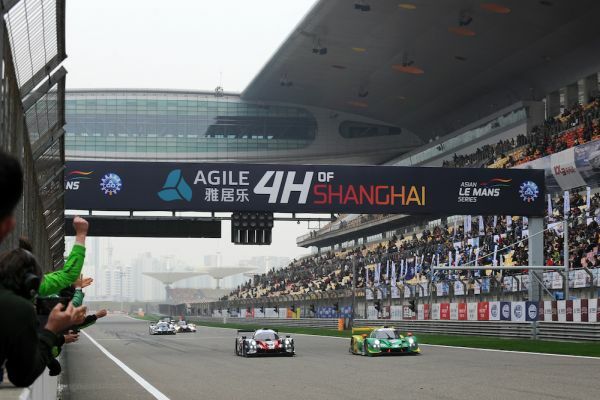 During the first full course yellow and safety car period of the race in the first hour, Smiechowski was one of the four LMP3 to come in for fuel. In the second hour Smiechowski got into a good rythm while most other LMP3s had to come in for their first of three pit stops. Different to the European Le Mans series, all pit stops have the same time; 1m43s. Smiechowski had moved up to second place just before the safety car came out for the second time in the race. When the race returned to green, Smiechowski came in for fuel, new tyres and Martin Hippe took over. Hippe fell back to 4th place. In the third hour Hippe moved up to second. He came in for fuel and new tyres in the last of the three pit stops and with 1h5m of the race left to go. He fell back to third and climbed back to second. With 30 minutes to go, Hippe moved to first when he passed the leading #2 United Autosports LMP3 when they had to stop for their last pit stop. He crossed the line after four hours and one lap in first place.